The Orange County Beekeepers Association (OCBA) promotes beekeeping for people of all ages and supports beekeeping by young people through the Apprenticeship Program. 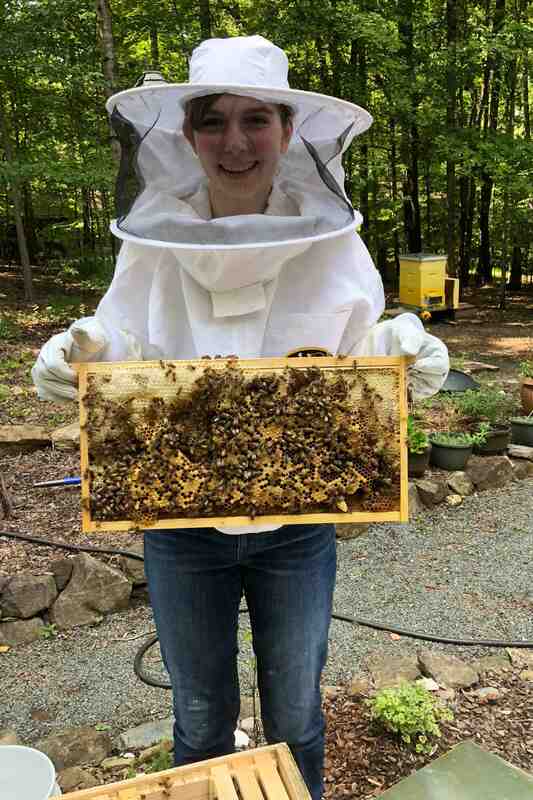 Each year two new beekeepers between the ages of 10 and 16 that live in Orange County, NC are selected, supported and sponsored in beginning their beekeeping adventure by the OCBA. 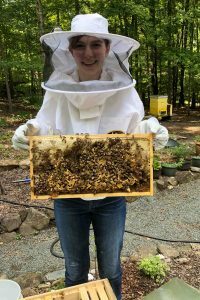 The goal of the Apprenticeship Program is to introduce young people to beekeeping and to provide the support needed to become successful beekeepers. In return, OCBA Apprentice Beekeepers commit to promoting beekeeping in North Carolina by completing the requirements of participation in this program. The total value of this equipment, materials and instruction is estimated to be over $600. Applications for the 2020 Apprenticeship Program will be accepted in Fall of 2019. Please send email if you would like to be notified when the application period begins. Once an applicant has been selected to participate in the OCBA Apprenticeship Program, the applicant and a parent or guardian will sign an agreement to complete the following Apprenticeship Program Requirements. Purchase any additional supplies, materials and/or equipment needed to keep the provided honey bee colonies alive and healthy during their participation in the Apprenticeship Program. This is estimated to be between $50 and $150 during the term of the Apprenticeship Program. Attend the OCBA Bee School and any associated workshops or field days scheduled for school participants. The OCBA 2019 Bee School is 1 night per week beginning in January 2019 and finishing in March or April. Give a 10 to 15 minute presentation at one of the OCBA monthly meetings on their experiences, observations and lessons learned during their one year Apprenticeship. Upon successful completion of these requirements, all equipment and materials provided by the OCBA to Apprentices becomes the property of the Apprentice. If at any point the Apprentice is unable or unwilling to complete the requirements of the Apprenticeship Program, the Apprentice may be required to return all provided equipment and materials to a designated OCBA representative in good condition, or to reimburse the OCBA for the cost of the equipment and materials. Under extenuating circumstances, the OCBA Executive Committee may consider the Apprentice’s request to waive this requirement. The decision to waive the requirement is at the sole discretion of the OCBA Executive Committee. If you have any additional questions please send them to us via email.